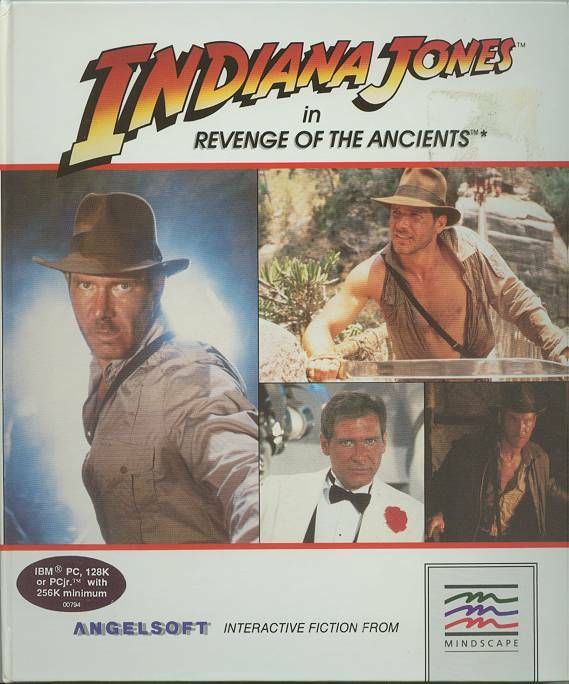 Released the year following Temple of Doom, and likely Angelsoft's most expensive tie-in license to acquire. Revenge of the Ancients is probably the most difficult Angelsoft title to come by, from my experience, anyway. It was the last folder package I needed, and I've never seen it in budget plastic pack. Must be an awful lot of Indiana Jones fans after this one. Beware of fakes sold on CD-ROM in a DVD case.